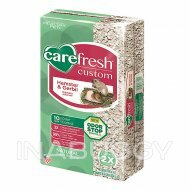 carefresh Complete Natural Small Pet Bedding is a soft and comfortable substrate that makes it easy for your hamster, gerbil, mouse or rat to comfortably burrow. Burrowing is an instinctive sheltering activity in small animals, leading to feelings of warmth, safety and security. 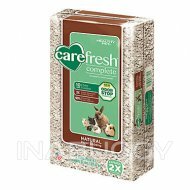 Made from natural paper fibers, this bedding is also absorbent and will help keep your small pet's habitat clean and odor-free. 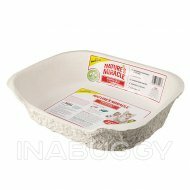 Features: Natural absorbent paper substrate is comfy and encourages burrowing. control. 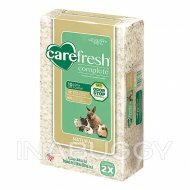 Caution: As with any substrate, there is a potential risk of impaction if your pet ingests a sufficient amount of bedding. 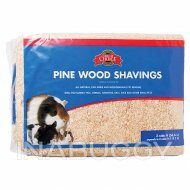 Observe your pet and seek veterinary care if you suspect impaction of the GI tract. 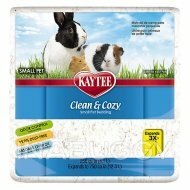 Directions: Place 1" - 3" of bedding in your pet's habitat, depending on the number and type of pets housed.